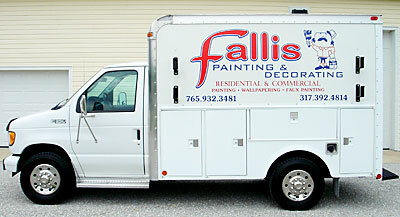 Fallis Painting and Decorating is a fourth generation, family owned business that specializes in interior and exterior Painting, Wallpapering, and Faux Finishes. Based in central Indiana, our company serves the cities of Indianapolis, Greenwood, Greenfield, Rushville, Greensburg, and Shelbyville specializing in residential and small commercial work. When you have Fallis Painting doing your work, you are guaranteed to have the owners doing the job, not an unsupervised crew.